Illegal downloading cost UK music industry nearly £1bn in 2010 | What Hi-Fi? 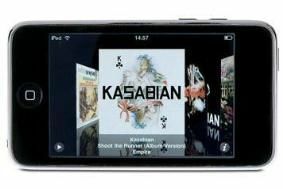 Research by Harris Interactive for the BPI shows that 1.2 billion digital music tracks – just under three out of four – were illegally acquired this year. That is more than the entire number of individual tracks ever to be downloaded legally in the UK to date, says the BPI. It says sales of digital singles could top 160 million in 2010, beating last year's figure of 149.7 million. Digital services accounted for just under 25% of UK record industry revenue in September of this year, up from 19.2% a year earlier. Harris Interactive found that nearly one in three Britons with internet access between the ages of 16 and 54 are engaged in some form of illegal downloading activity. The cost to the UK music industry of illegal downloading is £984m in lost retail sales, claims the BPI.